A tired story repeats itself every year when state rankings of teacher pay are released. Public school advocates claim that North Carolina’s low teacher pay ranking and shortfall from national average pay levels indicate that we aren’t paying our teachers enough. Right-wing pundits then try to rebut the public school advocates by claiming that – when adjusted for North Carolina’s lower cost-of-living – teacher pay is actually pretty good. Neither side is using teacher pay data correctly. 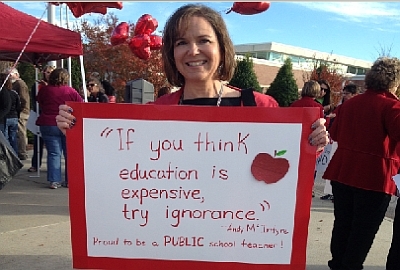 The advocates are correct that North Carolina’s teacher pay is too low. But state rankings aren’t the best indication of the shortcomings of current teacher pay levels. The talent competition to attract and retain excellent teachers comes from other professions more than from other states. While stories of talented teachers leaving North Carolina for higher pay in other states abound, the total number of such teachers remains pretty low in the grand scheme of things. The much larger talent drain comes from the increasing numbers of skilled university students each year who refuse to consider education as a profession due to low pay levels. As a result, state teacher pay rankings don’t necessarily tell you whether a given state’s teachers are underpaid. Instead, public school advocates wanting to improve the recruitment and retention of a talented and diverse teaching pool should focus on how North Carolina’s teacher pay compares to the pay in other professions requiring a college education. By this more useful measure, North Carolina’s teacher pay problem is even grimmer than the traditional national ranking data indicates. According to research from the Economic Policy Institute, North Carolina teacher wages are just 65% of other college-educated North Carolinians. Only teachers in Arizona and Colorado (it’s no coincidence that both states are experiencing teacher walkouts) have less competitive teacher salaries than North Carolina teachers. Using a slightly different data set, Rutgers University’s Bruce Baker reaches similar conclusions, ranking North Carolina 42nd in terms of teacher wage competitiveness. But his research provides additional detail by age group. While all North Carolina teachers make considerably less than their similarly-educated peers, it’s North Carolina’s most-experienced teachers who most greatly trail their non-teacher friends. This is consistent with my own research. These data sources confirm the criticisms that groups like NCAE have leveled at General Assembly leaders: our most-experienced teachers are being mistreated by state lawmakers. While public school advocates might be misusing state teacher pay data, at least they are reaching the correct conclusions. I can’t be nearly as generous to the conservative groups that are misusing data to reach wildly incorrect conclusions on the relative attractiveness North Carolina’s teacher pay. Organizations like the John Locke Foundation regularly try to claim that North Carolina’s low teacher salary ranking isn’t bad as at seems because North Carolina has a lower cost-of-living than most states. This is what I like to call a dumb person’s idea of a smart argument: it contains a whiff of truth (North Carolina’s cost-of-living actually is indeed probably lower than most states’), but quickly falls apart under closer scrutiny. To understand why cost-of-living adjustments don’t make sense for cross-state analysis of teacher salaries, it helps to step back and consider why costs vary in different places. Sometimes cost-of-living differences reflect geographic constraints. One of the reasons for the high cost-of-living in Hawaii is that most goods have to be shipped over long distances before becoming available for purchase, and land for housing is constrained. Goods and services are just going to be more expensive in certain areas. But cost-of-living also reflect the relative attractiveness of living in a given area. One of the reasons why Raleigh is more expensive than, say, Beulaville is that many more people want to live in Raleigh (sorry Beulaville, I’ve just always liked the sound of your name). Raleigh has amenities that Beulaville lacks such as restaurants, museums, nightlife, high-quality public services, and other job opportunities. These amenities appeal to a greater share of people, driving up the cost of living, but bidding down the cost of wages. When we’re comparing teacher salaries across geographic areas, what we want to know is which schools or school systems are offering wages sufficient to attract and retain high quality teachers. Despite the higher cost-of-living in Raleigh, Wake County might not have to offer a higher salary than Beulaville’s Duplin County. After all, if you were a recent college graduate set to become a teacher making $35,000 a year, would you be more apt to take a job in expensive (but amenity-rich) Raleigh, or lower-cost (and lower amenity) Beulaville? In other words, it often costs more to live in states with abundant amenities, but those states might be able to offer lower salaries due to their attractiveness. Alternatively, other states might have lower costs of living, but they need to offer higher salaries to compensate for their lack of amenities. Cross-state wage comparisons are complicated by our inability to directly measure location attractiveness, and the fact that costs and prevailing wages vary from city to city. Simple cost-of-living adjustments – as done by the John Locke Foundation – fail to take these complicating factors into account. To make matters worse, the John Locke figures rely on a cost-of-living measure that only looks at the basket of goods and services consumed by urban workers in the highest income quintile (i.e., not your average teacher). As a result, they present a deeply flawed and misleading account of how North Carolina’s teacher salaries compare to other states. Luckily, researchers have figured out a better way to compare wages across geographic areas: by comparing the wages of teachers against other college-requiring professions. 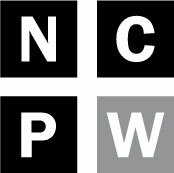 For example, if accountants, engineers, and nurses in Wake County all earn wages that are 90 percent of the national average wages for those professions, then Wake County teachers should also earn wages that are 90 percent of the national average. If those same professions earn 95 percent of the national average in Duplin County, then one would expect teachers in Duplin County to be paid 95 percent of the national average. To adjust for a whole state, one would look at the weighted average of wage differentials across each state. All of which brings us back to the analyses from the Economic Policy Institute and Rutgers University, showing that North Carolina offers some of the least competitive teacher pay in the nation. Contrary to what the folks at John Locke would tell you, North Carolina’s teacher pay is actually worse – not better – than what simple national rankings would indicate. If North Carolinians want a highly-talented, diverse, dedicated teaching force, then we must follow in the footsteps of countries like South Korea, Finland, and Singapore, and offer our teachers a pay package that’s competitive with other professions in the state. But the first step is appropriately confronting the data and recognizing the gross inadequacy of North Carolina’s current levels of teacher pay.